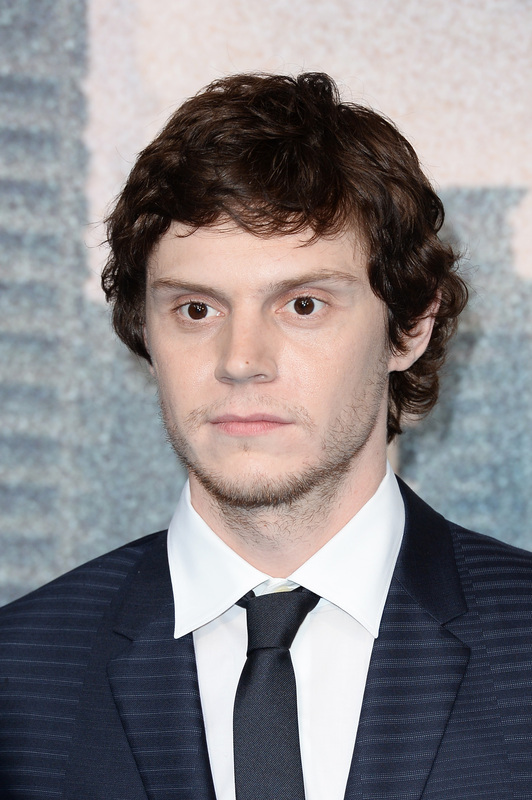 Another week, and no more Evan Peters on American Horror Story: Roanoke... but wait, maybe he was there? The credits definitely listed Peters, and fans on Twitter have a theory as to who Peters AHS Season 6 character is. Many think it's the interviewer of the My Roanoke Nightmare documentary. That would explain why we haven't seen Peters yet, because his role is behind the camera... for now. On Wednesday's episode, viewers heard an exchange between Lee and the interviewer when he asked her about her daughter Emily. Lee was taken aback at how the show had known about her first child. The interviewer explained that it's routine to do background checks on show participants and they'd found Emily's death certificate. And, while his face was never shown, some people think the interviewer's voice sounded like Peters. Now, maybe everyone is just so desperate to see him that they're hearing things, but they could be right. He's a main star of the show, it would be weird for him to just not be in the series three episodes in. Maybe he's been in it the whole time, we just haven't seen him yet. According to an interview Ryan Murphy did with Entertainment Weekly, the show is going to have a huge twist in Episode 6, and many have theorized that the drama behind the docuseries production will be thrust into the spotlight. If Peters is the interviewer, it's possible we wont' see him until then, but I know I'll be looking out for his voice in the coming weeks. It's not the same as seeing his face, but, if he is the interviewer, I would just be glad he's involved in a major way and that we may learn more soon.